Laerma Apart from a couple of excellent tavernas there is not much tourism happening in Laerma, although one of the main reasons for perhaps visiting the area is the Monastery Taxiarchis Michail at Tharri 4km southwest. 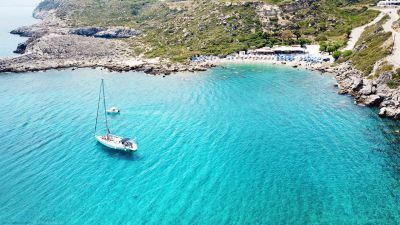 Kiotari has grown up over the last years along an impressive, vast beach, with large, luxury hotels, a few well-run restaurants and tavernas, and shopping center with more or less anything you need. Here you will find large, luxury hotels, a few well-run restaurants and tavernas, a shopping centre with more or less anything you need (mini markets, bakeries, patisseries and cash machines) - these are the main features of what is in fact the most contemporary and stylish resort on Rhodes. 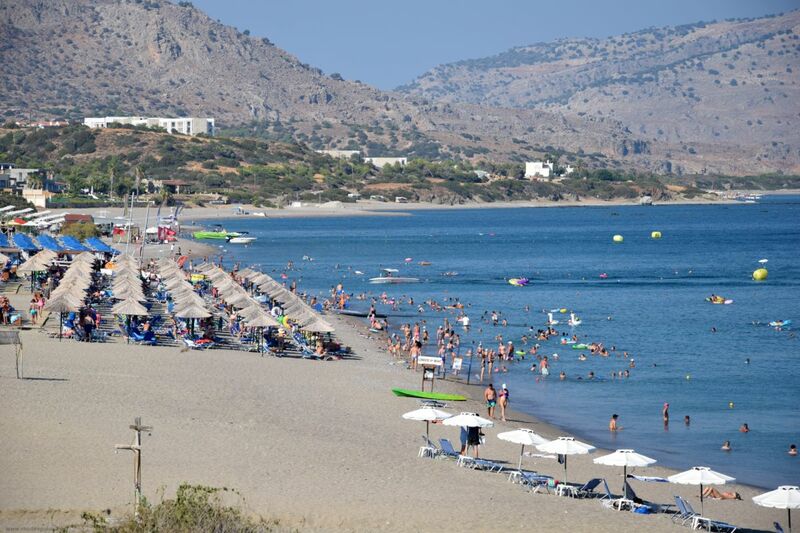 Kiotari has grown up over the last ten years along an impressive, vast beach, but does not suffer from the same tourist saturation which has negatively affected some of the other traditional resorts of Rhodes. You will find no real community here, just shops and hotels, most of which operate the all-inclusive system, and thus their guests spend almost the whole of their days within the hotel's facilities and on their private beaches. 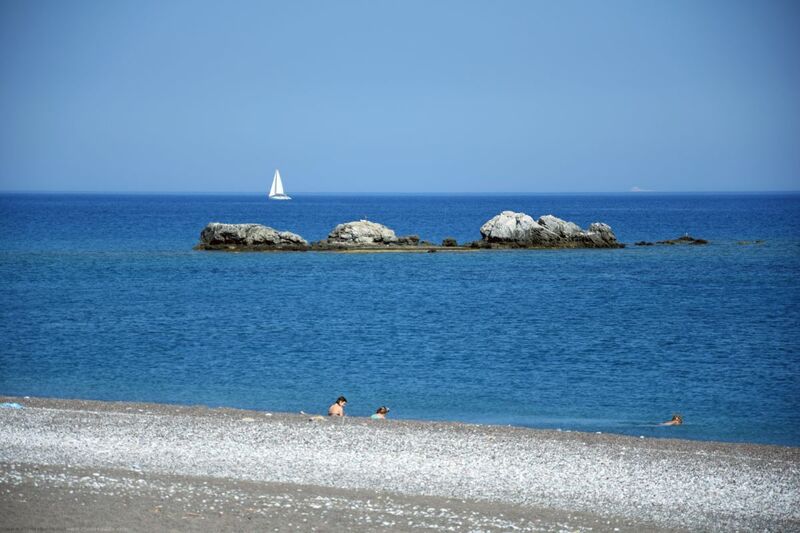 Most of the holidaymakers are families or couples, looking for peace and quiet by the sea, although there are a number of local people who come down on summer weekends as well. 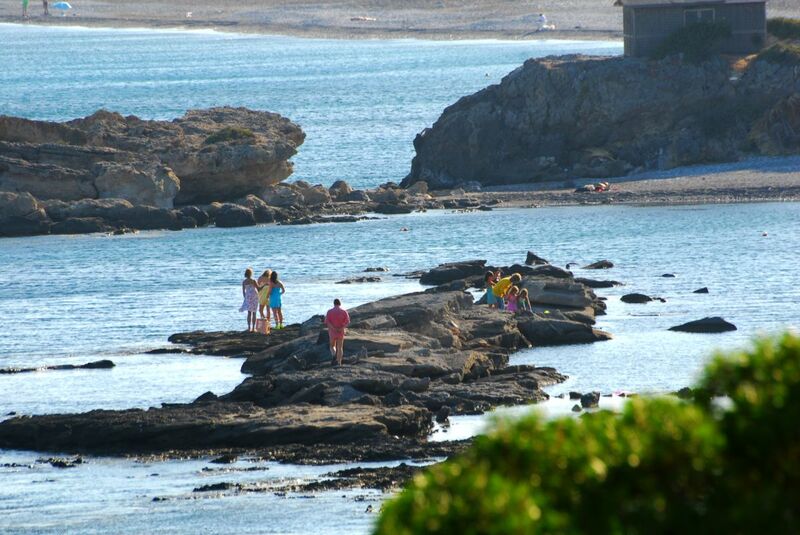 Even if you are not staying here it is worth stopping for a swim on the superb beach with its damp sand. Looking for a hotel in Kiotari or Rhodes? 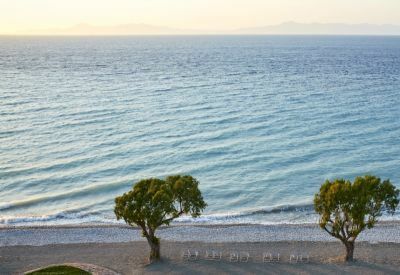 Check the following deals and special offers for hotels in Kiotari and Rhodes! Kiotari is an up and coming area, but dont let this put you off. 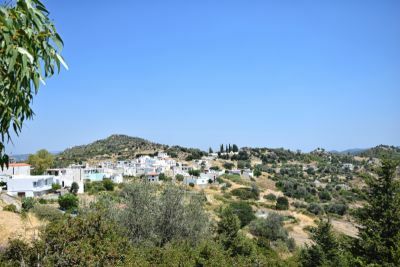 Wonderful bus service takes you into perfect pefkos or the lovely Lindos. 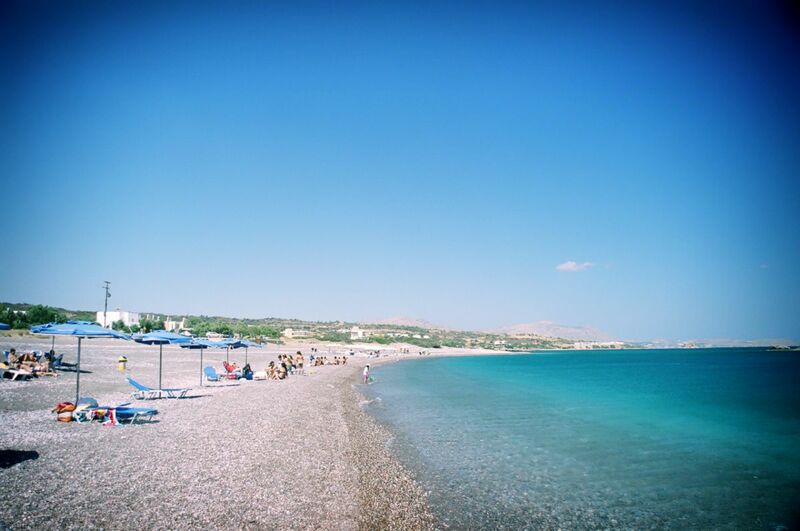 Year after year we visit Rhodes(Pefkos or Lindos)but fancied a change and booked Kiotari and it didnt dissapoint. The hotel was supeb and all facilities great, beach great too. Some nice little shops and cafes across the road. Lovely peaceful week, cant wait to return.